Last year, Google said, “Hey everyone, if you put your website on https with a secure SSL certificate, you’ll rank better!” They call it a ranking signal. It’s interesting that they say, “But over time, we may decide to strengthen it, because we’d like to encourage all website owners to switch from HTTP to HTTPS to keep everyone safe on the web.” Google clearly wants you to do this. 1) They’re cheap. Right now, Symantec is charging $995 for a 3 year certificate, where you can get a better 3 year deal from COMODO for $15. 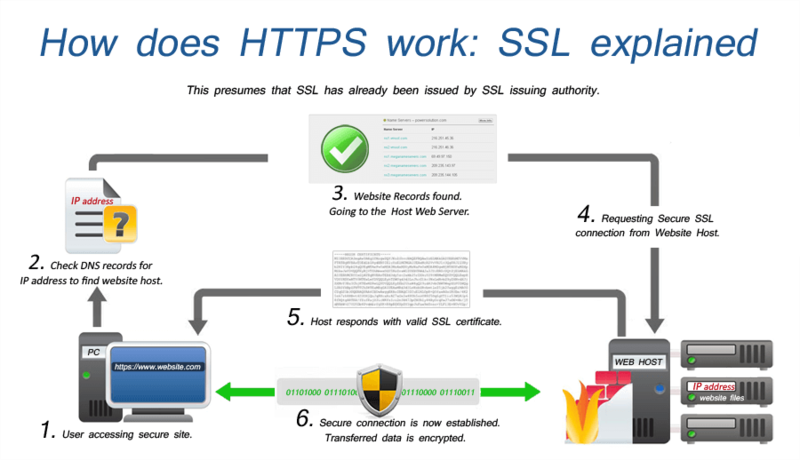 2) Cheap SSL certificates are faster. All you should care about is getting that https showing with no problems. 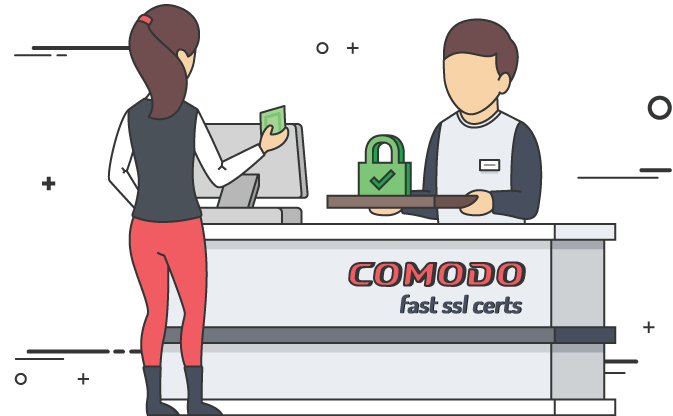 With a cheap COMODO SSL certificate, you just get the https. With more expensive certificates, sure — you can get the green name showing next to the https, but at a cost of speed. A CRL (Certificate Revocation List) doesn’t have to be downloaded with a cheaper SSL certificate, and the browser doesn’t have to check the certificate status through OCSP. Both of these can add an extra 1/2 second to 2 seconds to a page load. 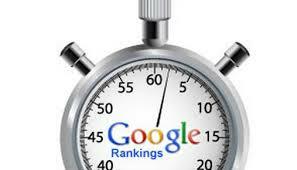 Remember, page load speed is a positive ranking factor. We’re setting up SSL because its a positive ranking factor. You don’t want to cancel out all your benefit that SSL is bringing your site by slowing your page loads by seconds as the fancier SSL certificates require. Consider that Amazon.com just uses a cheapie certificate. Their name isn’t showing next the https, because they realize that page-load speed is important. 3) Cheaper SSL is easier to get. All you need to do to verify your SSL through COMODO is have a your whois data public. You don’t need to photocopy and fax passports and drivers licenses, or provide proof of your name on monthly utility bills at a particular address. The whole SSL industry is a huge farce. Anyone can provide their own self-signed certificate, but then there’s a problem of browsers showing a caution screen. For your SSL to show properly, it needs to be encrypted by an entity that the browser trusts. All certificates are exactly the same. 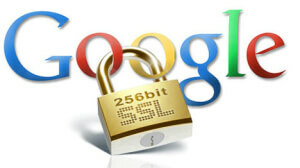 They all encrypt your data and function exactly the same way as a Symantec certificate or any other. The pricing comes down to the prestige of the company signing your SSL certificate. Symantec has a reputation as a software security company, so it perhaps conveys more trust than “Comodo”. However, normal people browsing your site will never know whether it was Symantec or Commodo who signed your certificate, so the extra cost spent on that prestige is wasted. It’s the same deal with the .xyz tld’s that are for sale right now, NameCheap is selling them for 99 cents and GoDaddy is $10. The cost is completely arbitrary, and so is the company — you might as well buy from NameCheap, because an .xyz domain from GoDaddy doesn’t smell or perform any better. Let me re-emphasize the fact that you can get a SSL certificate with only public whois information. That means all of your sites, even ones with fake registrant, can have https. If you were to go to Fake Name Generator, and enter data from there into your registrant information for your domain, your domains can continue to be used as a money site, or in your private blog network, and your information is distinct from the other sites in your network, but it is still empowered to rank better and be more trusted via SSL. For all the work and effort that goes into maintaining a private blog network, setting up a secure certificate to make its links more trusted and having it rank better, for less than $10, is a great idea. This also ties perfectly into the concept of building author rank for your site. I’m sticking my money sites and private network blogs on public whois, where the name on that public whois signs up for a secure certificate, and that name, address and phone number goes on an “about me” page of the site. Because it all matches the secure certificate — that gives Google what it believes to be an extremely accurate portrayal of the author assigned to that website. By signing up to Facebook, Twitter, LinkedIn and Google+ with the same identity on your secure certificate, the one that matches your domain registrant information — this gives Google all the clues it wants in order to start attributing author rank to your site. This will undoubtedly give your site an edge, and sends many positive signals to Google so that if you’re messing up on other signals, Google is more forgiving. 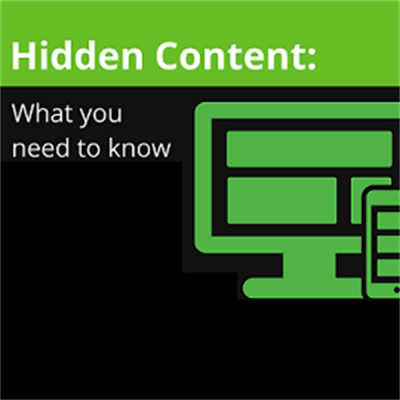 Receiving penalties and having your site filtered from Google’s SERPs are rarely due to doing just one or two things wrong, usually it is a number of negative signals, and the lack of positive signals, that has your site not ranking. Compared to the other costs of building your site up, the links you will need to build and the time you must invest, setting up a secure certificate is most likely the best return on investment you can hope for. It’s cheaper than one well written article, or buying two Fiverr packages to your support your blog network. I highly recommend incorporating SSL certificates into your SEO strategy.